It’s no secret that we’re immensely proud to call Hamilton our home. The energy here is contagious. The heart and soul of the people and businesses make our city unique and inspire what we do at MERIT every day. But still, some think of Hamilton as nowhere. One of our own City Councillors even called the stretch of the city from McMaster to Eastgate Mall – Nowhere to Nowhere. Within that stretch you have some of Hamilton’s oldest neighbourhoods, vibrant business communities, world-class education facilities, and more. Yet still, to many, it is Nowhere. While at first, that label seemed offensive and disheartening, the more we thought about it – we embraced the outside world’s perception of Hamilton. Maybe that’s what keeps Hamilton so special – the passion for the city comes from the people who reside in it. Maybe recognition isn’t necessary, or even wanted. It allows us to look inward, create from the heart, and create what is true without disturbance. Nowhere is starting to look a lot like somewhere. For a city that is changing more than its season, we wanted to capture the warmth, the beauty, and the flavour of a winter in the city. Trying to capture a season or the feeling of one is more difficult than you’d think. There is so much involved; so many layers of complexity and warmth. This higher ABV stout comes knocking at 9.6%, with its nuances and the bold aromas reminiscent of experiences past. Filled with huge notes of chocolate, coffee, roast warmth and deep caramel, a creamy oat-filled body, bitter dark chocolate and the feeling of smooth late night jazz sessions; chocolate velvet. Once you start to explore and see Nowhere for what it really is, then and only then, do the layers start to unfold, the beauty starts to flow, and the nuances that makes nowhere what it is reveal themselves. 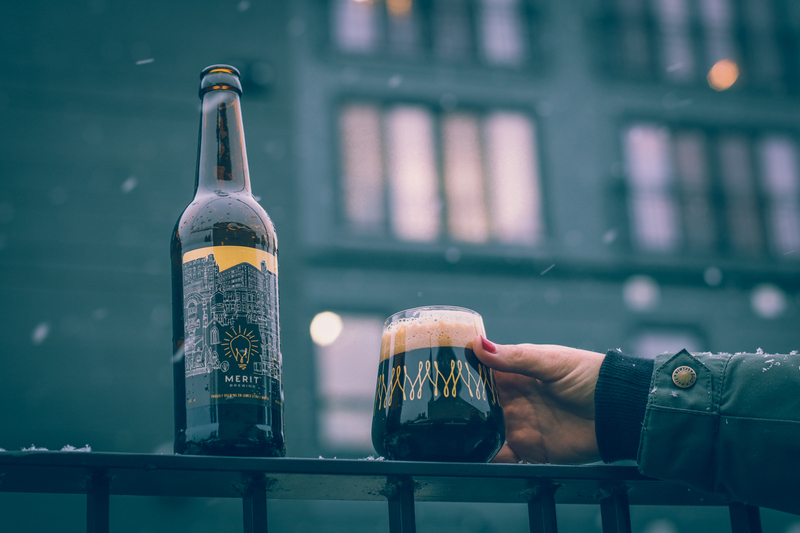 “Nowhere” – Imperial Stout – will be available on Friday December 15 at 11am in the MERIT Bottle Shop. 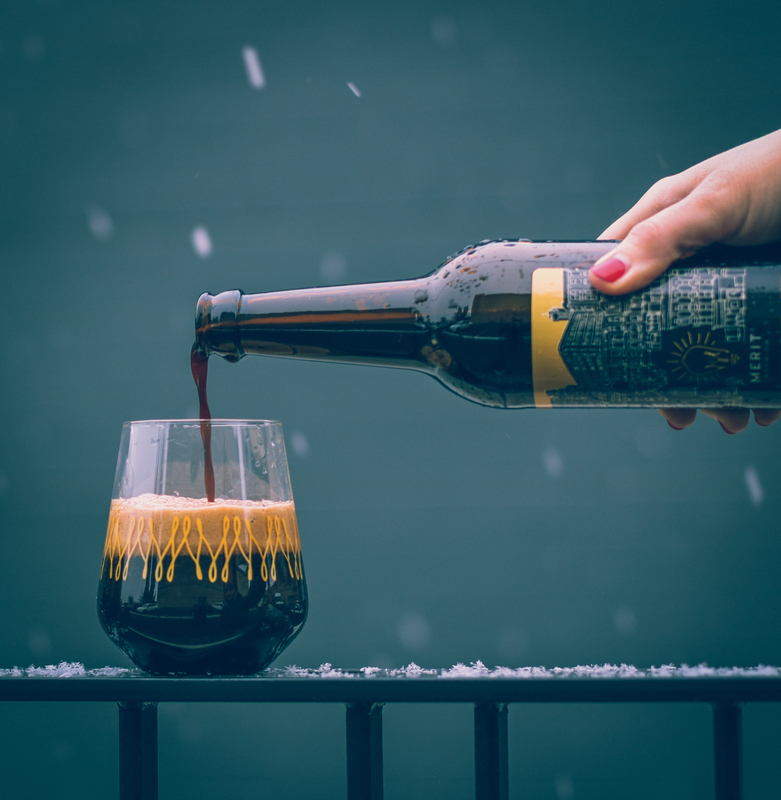 A limited run of “South of Nowhere” – Bourbon Soaked Mexican Hot Chocolate Imperial Stout – will also be available with a limit of 2 per person.